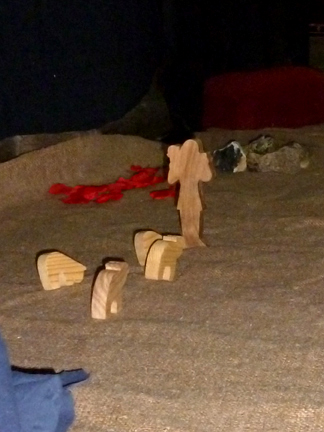 The Godly Play story of the parable of the Good Shepherd. This includes many connections to Psalm 23 - the good green grass, the cool still refreshing water, the places of danger and darkness. Shepherds in the Middle East - a reflection on how well shepherds know their flock: "Master, if you were to put a cloth over my eyes, and bring me any sheep and only let me put hands on its face, I could tell in a moment if it was mine or not." "Keep calm because the Lord is my shepherd, I shall not want." Drop a shimmer stone into the bowl and watch the ripples slow until it is calm again. Use the paint and other materials to make your own green pasture or still waters. "What does it mean for the Good Shepherd to know each one of us by name?" "The gatekeeper opens the gate for him, and the sheep recognize his voice and come to him. He calls his own sheep by name and leads them out." John Chapter 10 verses 2 - 5. "One of the shepherds stood some distance from the sheep and began to call. First one, then another, then four or five animals ran toward him; and so on until he had counted his whole flock." An extract from "In the steps of the Master" by H V Morton. Our names are very important to us – they are how we are known to each other and to God... You may like to write your name on a card and place it next to the crook as a symbol of how you are known and loved by God. 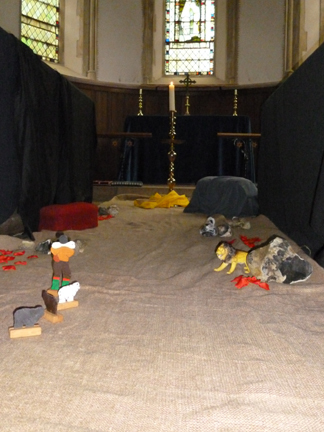 We created this station by covering the choir stalls with black cloth and laying hessian between them, before adding the figures of the shepherd and the sheep. 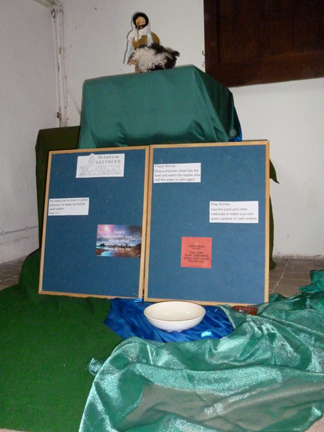 At the far end we lit the Christ candle for the shepherd to journey towards. What does it mean for the Good Shepherd to be with us, even in our darkest times? You may like to think of a difficult time in your life and remember that God was with you, even if it didn't feel like it... Take a shimmer stone to remind yourself that God is always with you. 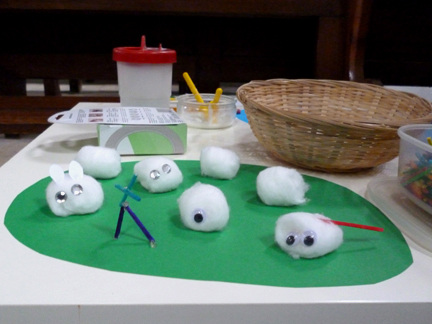 The children also had the opportunity to make cotton wool sheep! 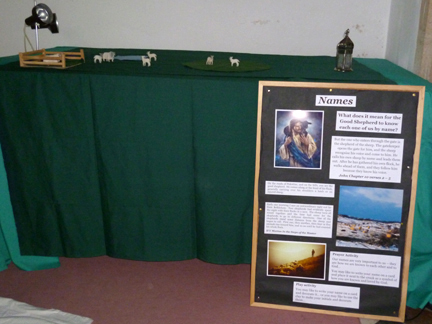 The station for the places of danger and darkness was very effective visually - the smallness of the figures compared to the length of hessian and the walls of black cloth gave the impression that the shepherd was leading the sheep through a narrow ravine. We felt it was important that the shepherd was leading the sheep to somewhere, which was why we placed the Christ candle at the end.